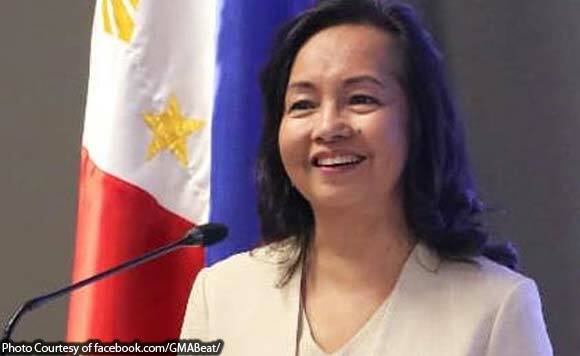 House Speaker Gloria Macapagal-Arroyo eyes investments in the newly-created Bangsamoro region in Mindanao as key to jobs creation and prosperity, her office said Tuesday. The former President, who currently represents the 2nd District of Pampanga in the House of Representatives, flew to Saudi Arabia on Monday for an investment mission with lawmakers from Mindanao. “Since we have ratified the Bangsamoro Law, I brought here six congressmen and congresswomen from the Bangsamoro to be able to help fulfill the expectations of the Bangsamoro people that there will be more jobs, prosperity because of more investments,” Arroyo told an interview in Riyadh. The six Bangsamoro lawmakers are Mauyag Papandayan, Jr. (Lanao del Sur, 2nd District); Makmod Mending, Jr. (AMIN Party List); Amihilda Sangcopan (AMIN Party List), Bai Sandra Sema (Maguindanao, 1st District), Ruby Sahali (Tawi-tawi) and Shernee Tan (KUSUG-TAUSUG Party List). She will accompany them in a meeting with the Council of Saudi Arabia Chamber of Commerce where they will present their investment proposals. Arroyo will meet Tuesday with her counterpart, Dr. Abdullah Bin Mohammed Bin Ibrahim Al Sheik, President of the Majlis Al Shura or the Consultative Assembly of Saudi Arabia. Official results of the Jan. 21 plebiscite for the ratification of the Bangsamoro Organic Law were formally promulgated last Friday by the Commission on Elections. Upon the ratification of the law, the Bangsamoro Autonomous Region replaces the current ARMM, with Cotabato City being added to it. Other areas in Lanao del Norte and Cotabato provinces will also seek inclusion through a plebiscite on Feb. 6.